This pub has been voted by our readers as one of the best in Peckham and Camberwell. See the full list of winners here. Frank's is about the only establishment in our pub database that isn't really a pub. It's not really a bar either. 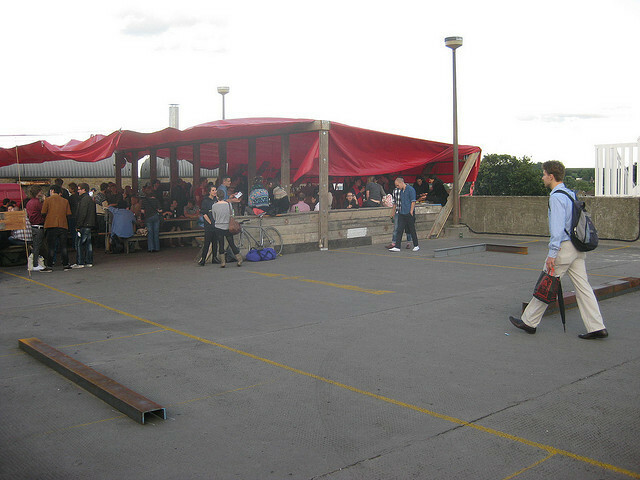 How do you classify a glorified tent on top of a Peckham multi-storey car park that specialises in Campari, beer and abstract art? Your first challenge is to find the place. 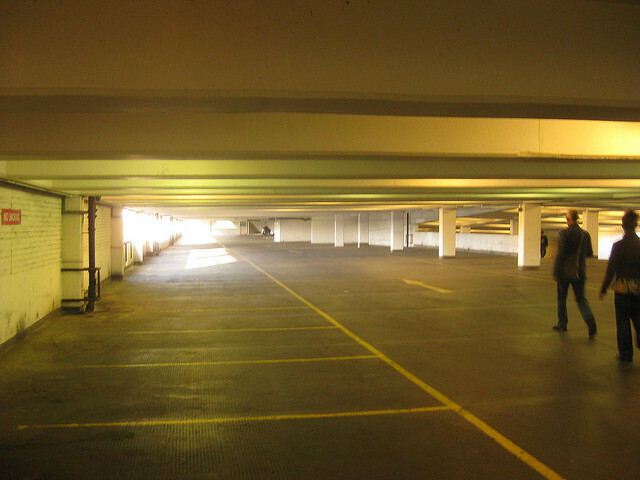 It's casually sign-posted, and there are several possible ways to make your way up through the deserted car parking levels. It can be a bit unnerving if making the trip alone, and is an experience best shared. 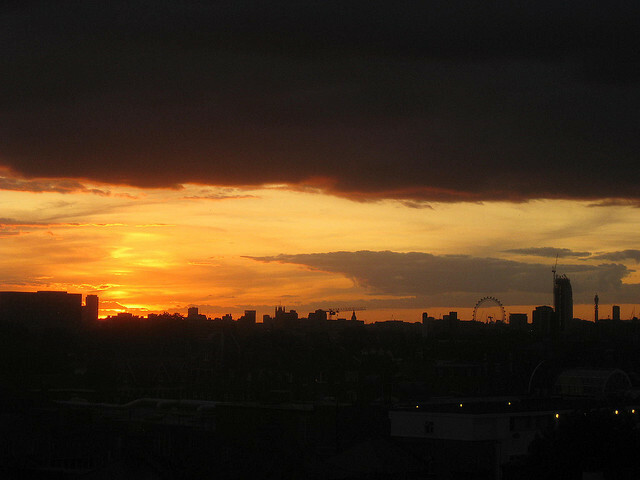 Once on top, though, you'll find yourself in an outdoor space with some of the best views in London. The space is gorgeous in the summer, although also rather busy. 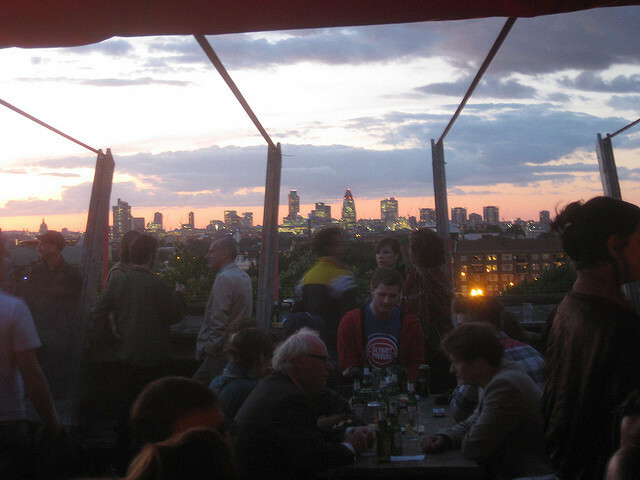 Our tip is to arrive soon after opening on a mid-summer's day, when service is quick and seating is plentiful. Given the small, temporary structure that is Frank's, the drinks choice is rather good, with several real ales, wines and a full range of spirits.